According to a recent study by the American Marketing Association, 3% of any business’s ideal customers is ready to buy. The remaining 97% have other issues that I will explain in my next article. In this article, I will explain the 3 common fatal mistakes that kill businesses. Based on the proceeding, most businesses strategize and focus all their attention on the 3% of their ideal customers, who are ready to buy. Focusing on this percentage of your ideal customers creates a fatal competitive environment that could cost you time, and especially money. Competing for the 3% is the most common reason for price wars—which consequently creates profit losses. The inability to communicate and connect to the ideal customer. Most business owners have a perfect product, service or idea, but lack the skills to communicate in a way that will captivate their customer’s attention. Communicating in a captivating manner is a skill that requires expertise and focus to master. Procrastination and low inner drive to take action will kill any business. The dilemma is to find the perfect solutions to either avoid, or resolve the above fatal mistakes. The book – Communicating Your Way to Success: Master the Art of Persuasion, Positively Influence Others, Increase Sales, and Stand Out in the Crowd, goes into depth in explaining practical processes to connect to the ideal customer. Furthermore, the author offers interactive simplified processes of how to identify the ideal customer, and especially how to use mind triggers to communicate and turn more leads into loyal customers. In this video, I share a POWERFUL yet proven mind trigger tool that can help one turn more leads into customers. For more explanations and examples of mind triggers, check out my book – Communicating Your Way to Success: Master the Art of Persuasion, Positively Influence Others, Increase Sales, and Stand Out From the Crowd. In this video (Link to video – https://youtu.be/W3pNoozY3tM), I share the second tip on How to Handle Sales Rebuttals. 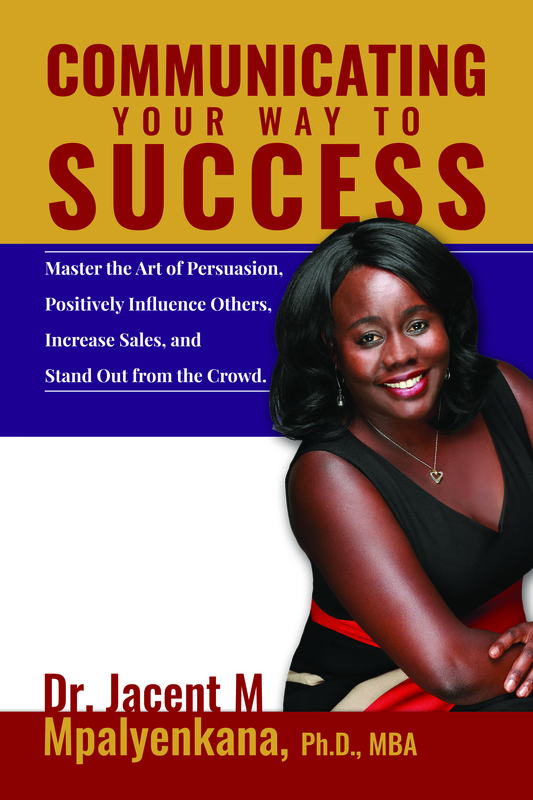 If this information has captured your interest, check out the book – Communicating Your Way to Success: Master the Art of Persuasion, Positively Influence Others, Increase Sales, and Stand Out from the Crowd. In this video, I share a few vital tips on how to handle customer rebuttals. Author of: Communicating Your Way to Success: Master the Art of Persuasion, Positively Influence Others, Increase Sales, and Stand Out From the Crowd. In this video, I share the most important step that business owners need to embrace to become more persuasive. If this caught your attention, and I believe it did, take advantage and pre-order the book – Communicating Your Way to Success, between now and 9/25.